27 May 2011 – Jaguar Land Rover, that recently announced record profits, today officially opens its first assembly plant in India. The facility at Pune in the Maharashtra region of India, will assemble Land Rover Freelander 2 vehicles supplied in Complete Knock Down (CKD) form from Jaguar Land Rover's Halewood manufacturing plant in Liverpool, UK. The inauguration ceremony was led by Carl-Peter Forster, Chief Executive Officer and MD of Tata Motors and Dr Ralf Speth, Chief Executive Officer of Jaguar Land Rover. Mr Carl-Peter Forster, said: "Today marks a significant step in our growth strategy for the Indian market. The opening of this plant demonstrates close co-operation between the parent company Tata Motors and Jaguar Land Rover and we are keen to develop this further." Dr Ralf Speth, said: "Jaguar Land Rover is delighted to have officially opened our first assembly facility in India. We are excited about the prospect of assembling cars in Pune for the Indian market where we have achieved significant growth since we opened our first showroom in 2009. It is a great time to be expanding our operation in India due to the increasing demand for luxury products and the strength of the Indian economy." 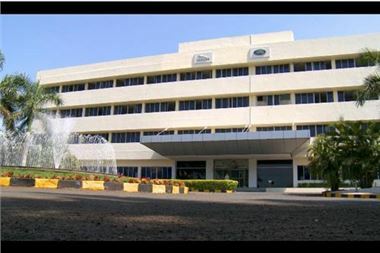 The facility in Pune will be subject to Jaguar Land Rover's mainstream launch quality processes and will be overseen by experienced manufacturing and quality managers who have moved to India from the UK. The award winning Freelander 2 is available in India in two variants, the TD4 SE Automatic and the SD4 HSE Automatic. The prices start at Rupees 33.89 Lacs (ex-showroom price in Mumbai, pre-octroi). Jaguar and Land Rover's acclaimed vehicles are well known around the world. Jaguar has become one of the world’s leading producers of beautiful fast cars. Land Rover produces the world's most versatile all-terrain vehicles, combining refined luxury with a true breadth of capability. The exciting new range of premium luxury vehicles available for the Indian market includes the Jaguar XJ, XF,and XK, the Land Rover Freelander 2, Discovery 4, Range Rover Sport and Range Rover. Further details, including specifications, are available on the Jaguar India website (www.jaguar.in) and Land Rover India website (www.landrover.in).